[INTRODUCTION, pages 1-2] "A director cannot delegate his decisionmaking responsibility to or defer to the wishes of a subset of the stockholder base, regardless of whether that subset represents a transitory stockholder majority, comprises the holders of a particular class or series of stock with the special right to elect that particular director, or consists of a single controlling stockholder." [CORE DIRECTOR DUTIES, page 17] "Capital that is provided to the corporation in exchange for an equity interest in the corporation, whether the investment is made in the form of shares of common stock or preferred stock, is permanent capital. The directors’ fiduciary duties therefore require that they maximize the value of the corporation over the long term for the benefit of the providers of longterm (i.e., presumptively permanent) capital." 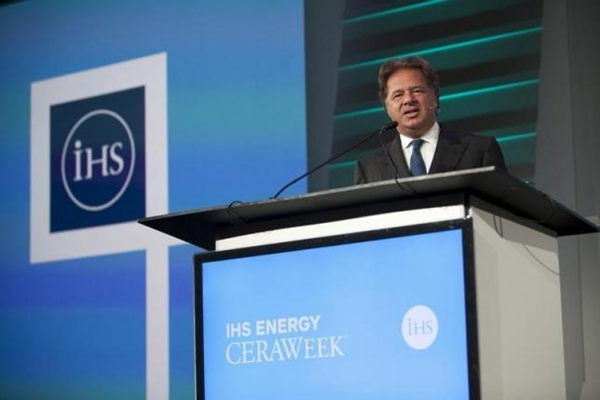 Cheniere Energy Inc CEO Charif Souki speaks during the IHS CERAWeek 2015 energy conference in Houston, Texas April 22, 2015. Early in August, a call came into Sysco Corp (SYY.N) from Trian Fund Management LP, warning the food distributor that the activist hedge fund was about to disclose a large stake in the company. Trian, run by veteran investor Nelson Peltz, unveiled its 7.1 stake in Sysco on Aug. 14, and asked for board representation and for the Houston-based company to improve its profitability and return money to shareholders. Six days later, Sysco awarded two board seats to Trian. For Sysco, it was better to reach a quick agreement than risk a drawn-out battle, a sentiment increasingly felt across Corporate America. "That's a significant amount of shares (owned by Trian), and we're at a key point in the business right now, and really, they have a history of bringing value to corporations," said Sysco Chief Executive Bill DeLaney in an interview, recounting the Trian approach to Reuters. "We didn't want to have a lot of disruption and a lot of uncertainty in the business." In the case of Cheniere Energy Inc (LNG.N), Carl Icahn needed just 18 days to clinch a deal for two board seats after the activist bought 8.2 percent of the liquefied natural gas company in August. ConAgra Foods Inc agreed to a board settlement with Jana Partners in July, three weeks after the activist investor scooped up shares of the processed food company. While not all companies are as quick to cut a deal as Sysco and Cheniere, data reviewed by Reuters shows that corporate management teams are reaching agreements with activists at the fastest pace since the financial crisis. The average number of days it takes companies to reach a settlement with activists threatening a proxy contest from the time of disclosure is 56, according to media and research firm Activist Insight, down from 83 days in 2010 - the furthest back the firm's data on the subject goes. The quickening pace of activist settlements shows how dissident shareholders are reshaping the way chief executives manage their businesses and their boardrooms. Backed by powerful institutional investors, activists are moving from outside agitators to influential insiders. Some investors worry that companies are bowing to activists' demands too easily, to the detriment of their long-term shareholders' interests. "Boards have become quick on the trigger to grant seats to activist investors just to avoid a proxy fight," said Scott Stringer, New York City's Comptroller, who called the trend "disturbing." When decisions are made before shareowners can weigh in with a vote, "companies run the risk of prioritising short-term expediency at the expense of long-term value," said Stringer, who runs the $165.5 billion New York City Employees’ Retirement System. Activists typically acquire chunks of companies, and then push the company's management team to make changes to boost shares, such as buying back stock, selling poorly performing units, or restructuring the business. The most effective way for an activist to effect change is by being on the board of directors. Companies previously could depend on large institutional investors, such as pension and mutual funds, to back their management teams in the event of a proxy fight. That guarantee has steadily faded. According to Proxy Insight, the percentage of dissident proxy cards that BlackRock, T.Rowe Price and Vanguard have voted to support - meaning they supported at least one dissident board candidate - has increased every year since 2011. For T. Rowe Price, the percentage has doubled to 50 percent, the Proxy Insight data show. Last October, activist Starboard Value LP won an standoff with Darden Restaurants Inc, convincing shareholders to replace the entire board of the Olive Garden parent – with BlackRock and State Street voting in support of the dissident slate. Darden shares have jumped 36 percent since the board's ouster. Advisors to companies on activist situations say that, while some settlements may look fast based on when activists go public with their stake, some occur after lengthy, behind-the-scenes discussions with companies and their other shareholders. These advisors also concede that executives will still fight if necessary, especially against smaller upstart funds that have less clout. In the case of Sysco, the company was up against a board nomination deadline and one of its industry's most venerable investors. Peltz has agitated at several food and beverage companies. He was instrumental, for example, in carving out snacks maker Mondelez International Inc (MDLZ.O) from Kraft Foods Inc in 2011. Sysco unveiled last week a three-year plan to achieve at least $400 million in annual operating income growth through efficiencies and cost cuts. It said it was working on the plan before Trian showed up. "I think companies are starting to conduct a type of self-examination when they receive a phone call or letter from an activist," said Francis Byrd, an independent corporate governance consultant in New York. "Where companies are doing their homework, they will say, 'maybe these folks might have a point'". When chemical conglomerate DuPont (DD.N) won its proxy fight against Trian in May, its victory was seen as a potential blow to activists that could embolden more boards to fight dissidents to the bitter end. But 2015 has been marked more by truces than battles. One reason is the increasing aversion toward a proxy fight. A study published last month by professors at the University of Texas at Austin's McCombs Business School referred to research that said the average cost of a proxy fight for both sides is around $10.7 million. DuPont, which spent $15 million to fight Trian, has seen its stock drop 33 percent since the May win, shedding almost $21 billion in market value. For furniture company Ethan Allen, which is under siege by Sandell Asset Management, such a proxy cost is more significant. If the $824 million company spends the average amount of money to fight Sandell, it would equal about one-third of Ethan Allen’s free cash flow, according to Thomson Reuters data. Beyond the price tag, companies are seeking to avoid the distraction of an activist campaign that gets nasty. Activists are also becoming more successful in winning the support of other shareholders, such as mutual, index and pension funds, which in turn are putting pressure on companies to settle. For their part, companies no longer see giving one or two seats to an activist as particularly dilutive to their board. Peltz, for example, is known for his food industry expertise and for working closely with management teams rather than against them. While every proxy fight is different, the overall odds are not favourable to companies itching to fight, and this can also make them reluctant to participate in a protracted dispute. In proxy fights where board seats were sought at U.S. corporations, the dissident shareholders' success rate rose to 73.1 percent last year, compared to less than half in 2012, according to data from research firm FactSet. "What would happen in the past, the board would say, 'thanks-but-no-thank you,'" said Byrd. "Activists are demonstrating that they're being reasonable. They're not looking to change everything out."